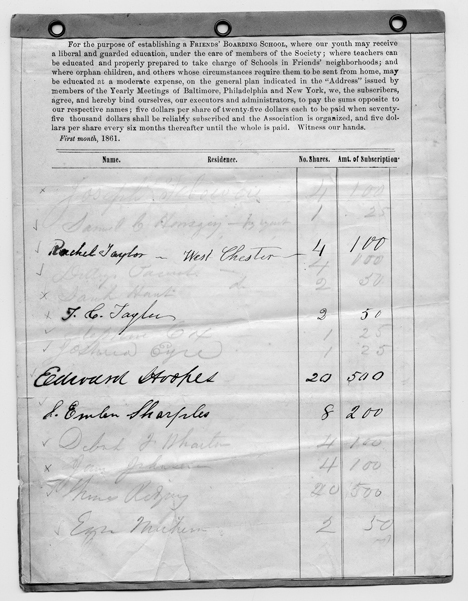 Subscription form used in the forming of Swarthmore College. Three years passed before the chartering of the College (1864) and five more before the College opened for instruction (1869), but the movement had begun. 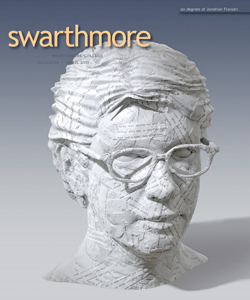 This is the first of an occasional series that will follow the work of Swarthmore’s Quaker founders leading up to the sesquicentennial of the chartering of Swarthmore in 1864.